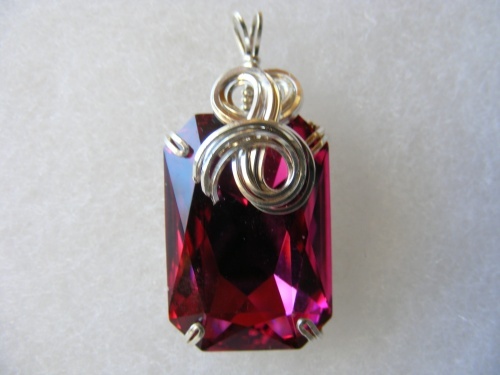 This beautiful crystal pendant is for all you pink lovers! Graced with facets that make the crystal sparkle and shine and, enhanced with sterling silver curls. Piece comes with a sterling silver chain.